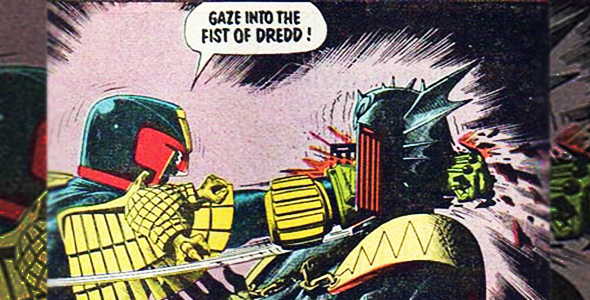 Today I learned that comic's facistic anti-hero Judge Dredd was named after a real person. Well, named after the nom du musique of the #2 selling reggae artist in the 70's UK (Behind the Honorable Robert Nesta Marley, of course). What was Judge Dread's first #1 hit on the UK music charts? Answer IN PERSON for a lame prize. Remember, this is theNO-BOOZE WINNING quiz. Sick. See you next Tuesday?